The Moon flush plate makes a lovely finishing touch to hidden in wall toilet cisterns. 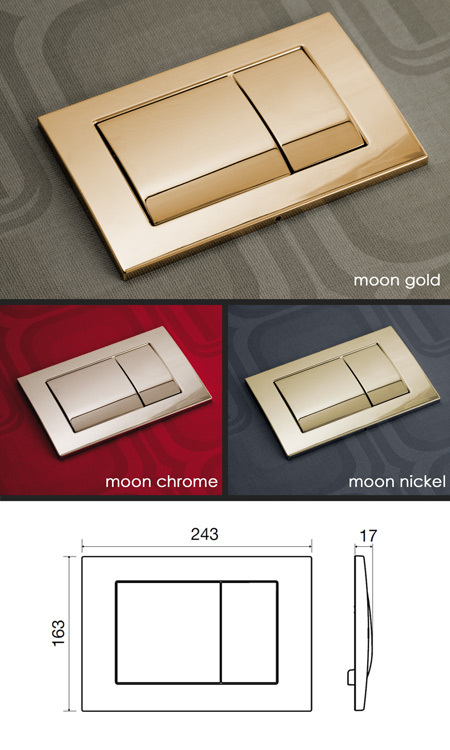 These luxury flush plates are made in metal and supplied in chrome, nickel and gold plated finishes. This push button is mechanically operated and has a half and full flush.